Rather than do a proper job and see that AZA zoos have followed the regulations to protect the animals and the public-The USDA would rather conduct pointless and might I add, totally senseless investigations on privately owned zoos and owners-Rather than follow the letter of their regulations for proper inspections, they seek to destroy ownership with Fanatical Animal Rights Terrorists now working within the agency and following HSUS (Humane Society of the United States) rather than Government Regulations that were approved and developed for proper Animal Welfare. ALL this is a complete waste of YOUR MONEY-TAXPAYER MONEY!!! “Once people have had enough of this, selective law enforcement will stop. Note the Headline reads-Federal Investigation…for ringworm and a tiger that died someplace else a year later…WTF?!? MYRTLE BEACH, SC (WMBF) – Myrtle Beach Safari is involved in a federal investigation. The United States Department of Agriculture’s Animal and Plant Health Inspection Service has conducted 23 inspections at the facility since April 2013. That’s more than three times the number of inspections at any other Horry County facility. A USDA spokeswoman told WMBF News APHIS typically visits a facility once a year. Businesses are visited more often if there is repeat noncompliance, or if complaints are filed. The agency said it has 130 inspectors for about 10,000 facilities across the country. It largely relies on people who visit the facilities to point out any issues. The most recently filed USDA report is currently under appeal. It spells out concerns of a recurring problem of ringworm. According to the report, two tiger cubs were moved from a facility in Florida to Myrtle Beach in February 2016. The cubs had ringworm-like lesions on their paws. Treatment worked, but it was not a treatment the attending veterinarian signed off on. Myrtle Beach Safari was given three weeks to update a written treatment plan. It was supposed to include environmental measures to take and public safety issues to address. In a phone call, the facility’s director, Bhagavan Antle, refused to turn over that plan or acknowledge a plan exists. PETA, or People for the Ethical Treatment of Animals, is concerned infected tigers are coming into contact with people. Antle said that isn’t happening. He gave a written statement saying animals treated for an illness do not interact with the public. Antle called its release a violation of procedure because of the appeal underway. However, WMBF News found the USDA investigation started months before the report of possible ringworm. It was launched in November 2015. Antle first denied knowing anything about an investigation during a phone call. The USDA said it informs facilities when any investigation is launched. It said it cannot release more information until the investigation is over. The same month the investigation started, PETA and the Humane Society filed complaints against the facility. PETA raised concerns over Antle’s request to move 18 tigers to Mexico. The Fish and Wildlife Service has yet to grant or deny that request. 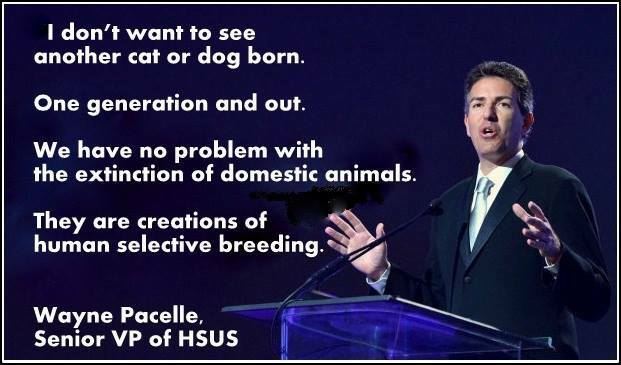 The Humane Society’s issue is a dead tiger. The tiger, named Sarabi, passed away at a facility in Oklahoma, according to a USDA report filed in October 2015. According to the Humane Society, it was Antle who sold the tiger to that zoo a year earlier. WMBF News cannot confirm that transfer, but through this investigation, it was learned the Oklahoma zoo is also under a USDA investigation. The agency said an investigation can be launched by an inspector. It can also come from tips from organizations like PETA and the Humane Society. A regional office reviews material and then sends the investigation request to the agency’s investigative and enforcement services section. This is the first I am hearing that an INVESTIGATION can be launched by PETA and the Humane Society-They are ORDINARY PEOPLE/PRIVATE CITIZENS who have had NO TRAINING or any regard for ownership of any animals-Not Antle’s tigers, not my cat or your dog. Their GOAL is to end all relationships with humans and animals. Members of a Fanatical Animal Rights Organizations who want to END ALL HUMAN RELATIONS WITH ANIMALS-No Ownership is their goal-A complaint to the USDA does not open an investigation-Instead, it sends inspectors out for an inspection-Neither ringworm or the death of one animal that you no longer own but instead someone else owns, would not be reason for an open investigation however, it seems that there is something at play here and from inspection to investigation over the least little complaint, is the mis-use of TAXPAYER MONEY!!! Fanatical Animal Rights Terrorists are using TAX MONEY to proceed with their own agenda-no matter the cost and all the better that it costs them absolutely nothing…So false complaints are right up there with the real ones…However, some facilities are not properly inspected and PETA couldn’t give a crap about 169 dead cats at Big Cat Rescue or the conditions the cats are forced to live in…After all, Carole Baskin ceo for Big Cat Rescue (BCR) has paid her dues to belong to the Global Federation of Animal Sanctuaries (GFAS) and GFAS is HSUS…HSUS is PETA with ties and lawyers…Simply put, they are ALL in association with affiliated members infiltrated in a government agency created for Animal Welfare. ~ by topcatsroar on June 16, 2016. What a waist of life this Sub-Hu-Man is, SMH!